Scenes from Srinagar including Dal Lake, Dal Gate, Nagin Lake and Old Town Srinagar, Kashmir. Includes Kashmiri people and food, too! 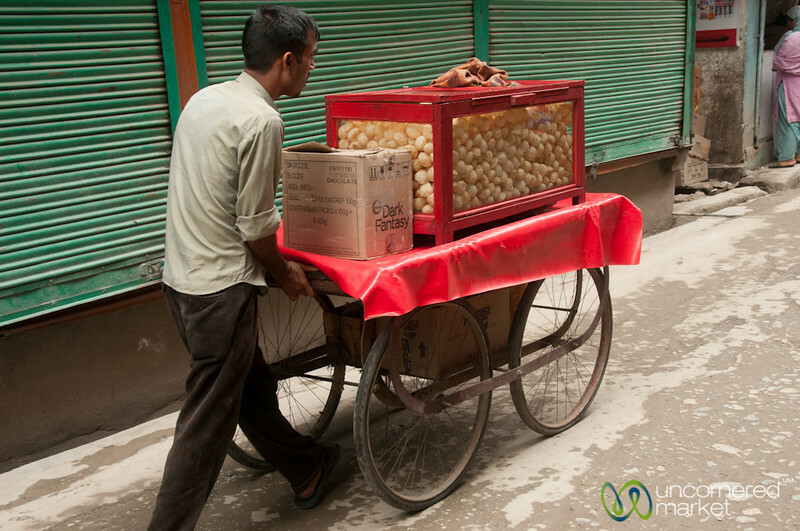 A puri vendor takes his cart down the streets of Srinagar near Dal Ghat. Kashmir, India.